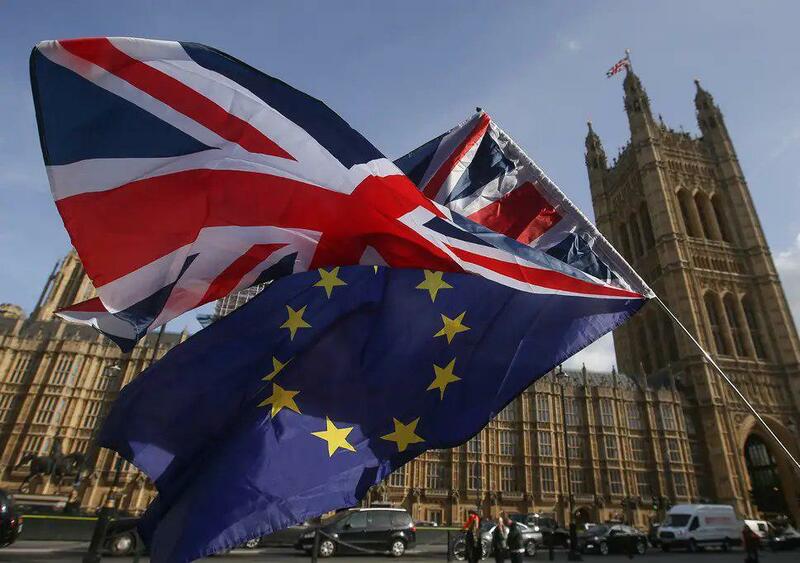 LONDON, April 8 (Xinhua) -- Proposals to force British Prime Minister Theresa May to delay the date of Brexit -- again -- on Monday were approved by both the House of Lords and House of Commons. The passage of the bill means the authority of May's government was further weakened as it would give MPs a chance to make legally binding changes to her requested departure date during a debate in the parliament on Tuesday. Arriving in Luxembourg for a meeting of the Foreign Affairs Council, Hunt said: "I can't tell you that I'm very confident or not confident. We are going into these talks sincerely and we have to see what the outcome is." It also came hours before May's trip to Berlin and Paris on Tuesday, when the prime minister will hold talks with German Chancellor Angela Merkel and French President Emmanuel Macron for a delay of the Brexit date, which has been pushed back from March 29 to April 12, May's spokesman said Monday. May also spoke by phone to many other European leaders ahead of Wednesday's EU summit, during which she is expected to seek a second extension to Britain's exit date from the EU. Britain's impasse over Brexit casts a cloud of uncertainty over the EU leaders' meeting for emergency talks in Brussels on Wednesday. Michel Barnier, the EU's chief Brexit negotiator, was in Dublin on Monday for talks with Irish Prime Minister Leo Varadkar.